Going Nuts for nuts was never such delicious and easy. Now Health is at your feet, everytime you consume Satvikk Dryfruit Mix. Includes Best Quality Mix Dryfruits. JustPressed Trail Mix Nuts & Fruits is a Gluten Free & Vegan treat full of good energy and is an ideal anytime snack. It is lightweight, easy to carry, nutritious, and provides a sustained energy boost from goodness of wholesome nuts, and sustained energy from the healthy natural sugars in dried fruits. Carry it while travelling, on hikes, to work , in the gym or to school! This super tasty blend has top notch Nuts and essential Dried Fruit. Unprocessed, wholesome food, as nature intended. Made from premium grade, jumbo size dry fruits and nuts. Existing Combination Of Freshly Roasted Almonds, Cashews & Pistachios. Nutty Gritties Cholesterol Free DRY FRUITS COMBO 10 (available in Gift Box)Nutty Gritties Cholesterol Free CHILLI ORIENTAL ( Chilli Garlic ) Cashews 180g 100% Natural Cholesterol Free flavored with age old Chilli Oriental secret recipe of choicest selection of Mangalorean Cashews popular since 1887 ! Nutty Gritties Cholesterol Free DRY FRUITS COMBO 2 (available in Gift Box)Nutty Gritties Cholesterol Free JAGGERED Cashews 180g 100% Natural Cholesterol Free flavored with age old Jaggered secret recipe of choicest selection of Mangalorean Cashews popular since 1887 ! Nutty Gritties Cholesterol Free DRY FRUITS COMBO 5 (available in Gift Box)Nutty Gritties Cholesterol Free MEXICAN BBQ ( Barbeque ) Cashews 180g 100% Natural Cholesterol Free flavored with age old Mexican BBQ secret recipe of choicest selection of Mangalorean Cashews popular since 1887 ! Ingredients: Mangalore Cashews, Barbeque Powder Extract, Edible Common Salt and Natural Flavoring Substances. Nutty Gritties Cholesterol Free DRY FRUITS COMBO 7 (available in Gift Box)Nutty Gritties Cholesterol Free BASIL MINT Cashews 180g 100% Natural Cholesterol Free flavored with age old Basil Mint secret recipe of choicest selection of Mangalorean Cashews popular since 1887 ! Ingredients: Mangalore Cashews, Mint Powder Extract and Natural Flavoring Substances. Nutty Gritties Cholesterol Free DRY FRUITS COMBO 8 (available in Gift Box)Nutty Gritties Cholesterol Free MEXICAN BBQ ( Barbeque ) Cashews 180g 100% Natural Cholesterol Free flavored with age old Mexican BBQ secret recipe of choicest selection of Mangalorean Cashews popular since 1887 ! Ingredients: Mangalore Cashews, Barbeque Powder Extract, Edible Common Salt and Natural Flavoring Substances. Nutty Gritties Cholesterol Free DRY FRUITS COMBO 1 (available in Gift Box) Nutty Gritties Cholesterol Free MEXICAN BBQ ( Barbeque ) Cashews 180g 100% Natural Cholesterol Free flavored with age old Mexican BBQ secret recipe of choicest selection of Mangalorean Cashews popular since 1887 ! Ingredients: Mangalore Cashews, Barbeque Powder Extract, Edible Common Salt and Natural Flavoring Substances. JustPressed Nuts & Seeds Trail Mix is a Gluten Free & Vegan crunchy treat full of good energy and is an ideal anytime snack. Its lightweight, easy to carry, nutritious, and provides a sustained energy boost from goodness of wholesome nuts, and sustained energy from fats in seeds. Carry it while travelling, on hikes, to work , in the gym or to school! This super tasty blend has top notch nuts and essential seeds. The rich taste and the superior quality of the mixed nuts will elevate your mood and enrich your health. The perfect pack for personal consumption and any gifting occasion. Buy Mixed Dry Fruits Online at Foodzu and get attractive discount on each purchase. Dry fruits are immensely useful for maintaining overall health and are also prevent a certain type of diseases. With natural fiber and sugars, zero fats and cholesterol dry fruits and nuts provide all essential nutrients required for the healthy functioning of the body. Mixed dry fruit is the healthiest alternative snack and provides instant energy especially for kids. A wide range of mixed dry fruits are produced globally and the foodzu online stores give you the chance to imported mixed dry fruits at cost-effective prices. The tremendous health benefiting properties found in dry fruit will produce a positive impact on our body and brain. Do you relish eating good dried fruits and nuts? Worried about the quality of the mixed dry fruit. The Foodzu online grocery stores in India understand your concern and hence provides you with a wide range of mixed dry Fruit Bars at pocket-friendly prices. Want to ensure that you buy premium quality mixed dried fruits? 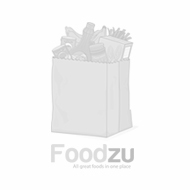 Shop at Foodzu and discover a range of mixed dry fruits, from across the globe. Enjoy the easy and relaxed way of online grocery shopping Bangalore from top brands at less than MRP at Foodzu.